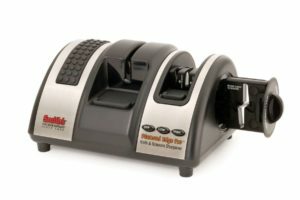 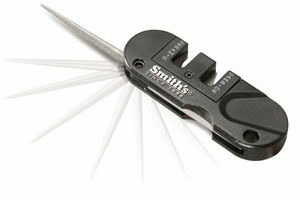 Smith’s new 4-in-1 Knife and Scissors Sharpener features pre-set crossed carbide blades, sharpening steels, ceramic stones, and a scissors sharpener. 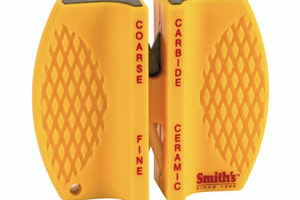 Carbide blades provide quick edge setting capabilities, and the sharpening steels offer the perfect edge alignment. 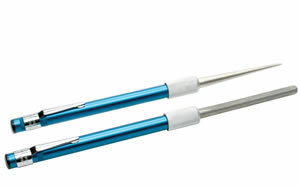 Specially shaped ceramic stones provide a razor sharp edge on serrated or standard blades.